Few people love their job more than NBA players. Here are some of the craziest things to ever keep them away from the court. 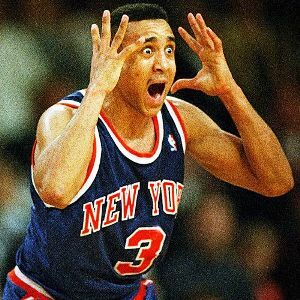 John Starks missed Game 3 of the Utah Jazz’s 2001 Playoff series against the Mavericks because he was undergoing a surgery for testicular torsion – a conditions which occurs when a testicle gets twisted 360 degrees, cutting off the blood flow. Did this testicle just did this?